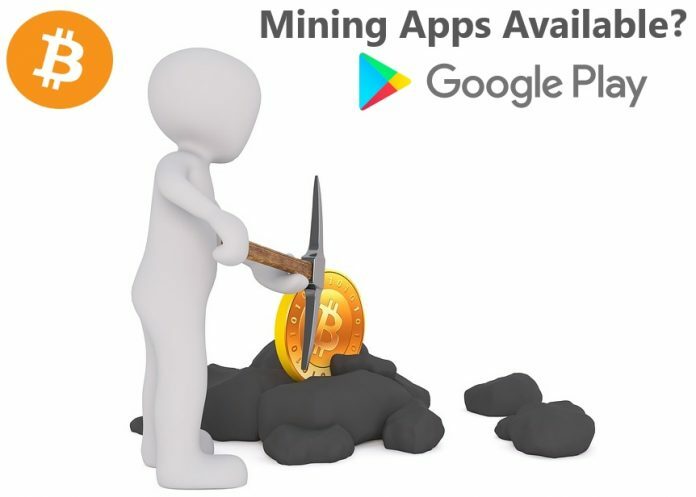 With the introduction of the new programming guidelines, all mining apps should disappear from the Google Play Store at the end of July. However, a study by The Next Web (TNW) revealed a very different result. At the moment neither the offerors stick to the prohibition, still, it does not seem to concern Google particularly. Was the announcement more than a storm in a glass of water? Users of Android smartphones should be effectively prevented from downloading crypto-mining apps from the Google App Store since the end of July. The lock applies to both free and paid programs alike. At least the theory. However, Google obviously has its App Store still not under control. Anyone looking for the term “cryptocurrency miner” will immediately find it. Only Ban A PR Stunt? The manufacturers have not even tried to hide the purpose of their software from Google. The vendors did not alienate the description of their products or exclude the typical keywords to make Google more difficult to control. The descriptions explain without any ado what the purpose of the apps should be. We also found apps that were updated a few days ago. The lack of control affects both old and young representatives of the store. Incidentally, the cryptocurrency most secretly mined is the Monero (XMR). Several security researchers have told TNW’s Hard Fork magazine that they consider a ban on mining apps to be meaningful. Many programs were created only for the benefit of the developers and not the users. Among the many programs still available are a lot of malicious software or apps that would only play a function to users. Google contacted TNW and explained that the software makers had time to adapt their apps to the new guidelines by the end of August. Unfortunately, the Android store has been attracting attention in the past because of the emergence of dangerous apps. Although Google announces, again and again, to clean up its own store. But Google’s declarations of intent have not changed much in terms of new Trojans, real-life bullet-throwers, and other spyware. The programmers have almost two weeks left to change or delete their apps. However, it is rather questionable whether the range of programs from the beginning of September really will look so much different than now. The buyers of the iPhones and iPads have indeed been locked in a golden cage. However, Apple is also known to take care relatively, for the safety of the users of their hardware. In addition, the company from Cupertino is rigorously against any violators of their policies.